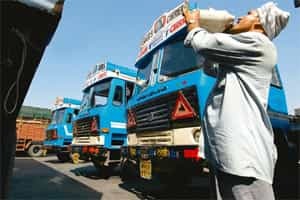 Mumbai: Logistics major Transport Corporation of India will invest ₹ 40 crore in the second half of the 2011-12 financial year to acquire 100 trucks and a ship, a senior official said. “We will invest ₹ 40 crore during the next six months. We are on track in terms of our plans," chief executive (Supply Chain Solutions) Jasjit Sethi said, adding that ₹ 68 crore has already been invested in the last six months. Sethi said that corporates, which form the clients for his Gurgaon-based listed company, are selective in their capex spending, considering the present economic turbulence, and are waiting for the right signals to get into the investment mode. TCI has also adopted a strategy of “streamlining", which entails focusing on profitable businesses, due to the present economic climate. “Streamlining means being pragmatic about your business. In trying to chase the topline, if you end up eroding the bottom line, it does not make sense." TCI’s profitable businesses include supply chain and express, he said, adding that one of the steps the company has taken recently is not giving credit to some clients. The company’s net profit had dipped by 5 % to ₹ 13.78 crore in the September quarter on higher fuel costs.